Design, Finish, Insulated and Made in Germany... What else can you ask for when considering a garage door or access system? Garage doors and access control were once considered a luxury in Australia. As the dynamics of lifestyle and household have shifted, the garage has become an integral part of our homes. The garage now has many varied functions such as storage, that extra games room, safely parking the cars or in fact a combination of many different uses. 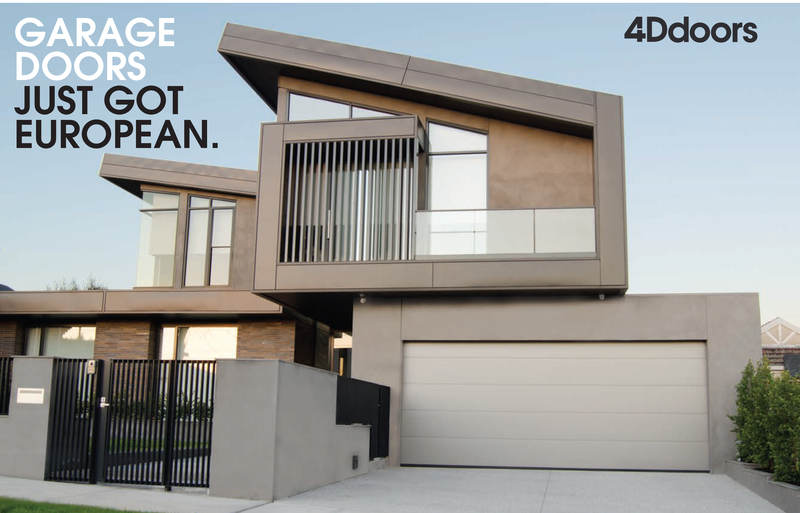 4D Doors recognises the garage door as being instrumental in facilitating the use of garage space. And we also recognise our creative demands have matured to encompass the garage door as a key aspect to the look and feel of a home. Form, function and design are key elements when considering the garage door or access solution. 4D brings the very best products from Germany and Europe to Australia. We partner with Australia’s finest garage door and access specialist dealers to bring them to you. Absolute quality and the most beautifully finished products are coupled with the most technologically advanced systems available anywhere. With garage door technology comes all aspects of access control. From the biggest, most highly used commercial solution, to carpark doors, to gates and gate automation. 4D Doors is a complete access solutions product provider. We even have fully insulated front doors to match our gorgeous garage doors. Whether you’re discerning and design savvy or the practical no-fuss type of person, one of our expert dealers will help you choose the best solution in garage door and access technology. Collaboratively, we bring the best of the world to you.